Sidi Bel Abbès (215,000 inhabitants), 80 km south of Oran. - linking the southern bus station on Route de Tlemcen with the new railway staion, via Avenue Théodore Héritiers, Boulevard de la République, rues Abane Ramdane, Oulhassi Mokhtar, faubourg Sidi Djillali and Benhamouda. 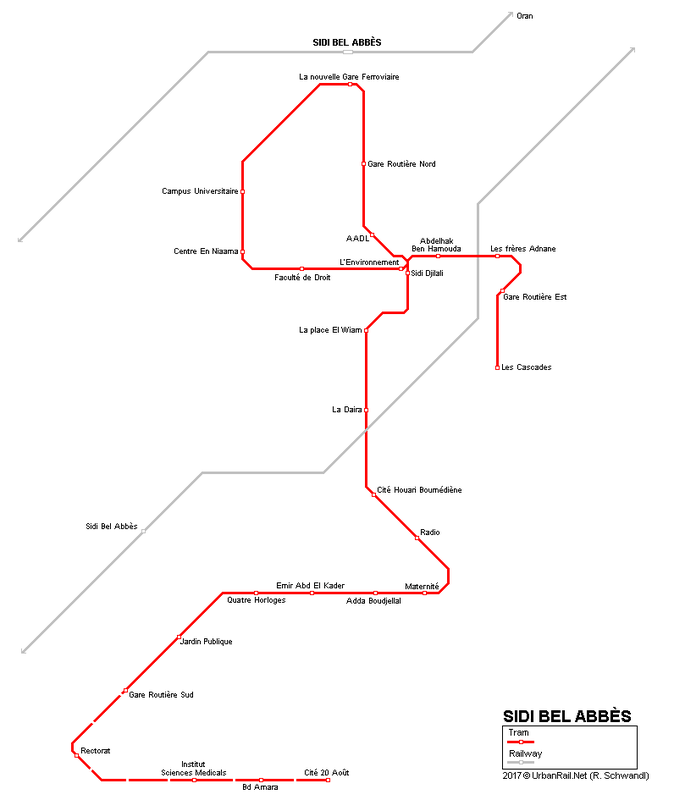 A second line is planned from Cité Wiam via «Cascades» and Sidi Djilali before joining the first line at Benhamouda. An extension is also envisaged from Gare du Sud to Boulevard Messali El Hadj, via Boulevard Ferhat Abbas, on the route of the future Pôle d’Excellence.